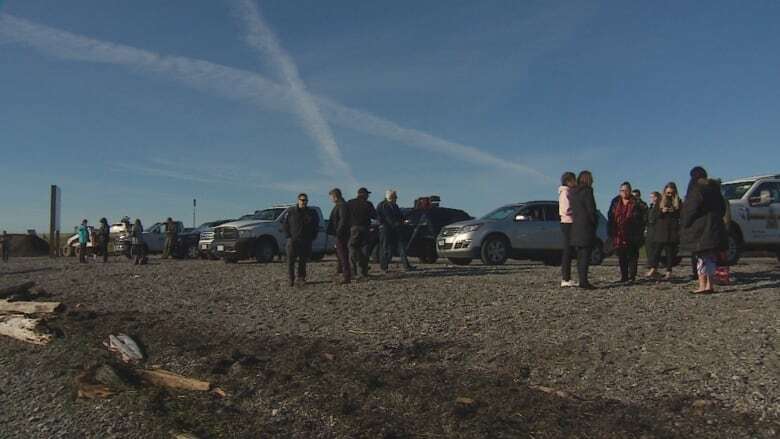 The necropsy results for a dead humpback whale that washed ashore in Tsawwassen, B.C., on Nov. 16 show the whale's death was caused by propeller injuries from a "catastrophic" ship strike. The necropsy of a dead humpback whale that washed up near the BC Ferries terminal in Tsawwassen on Nov. 16 show the whale died from a ship strike, according to Fisheries and Oceans Canada. The agency says the female humpback whose body drew a crowd of onlookers to the area had injuries consistent with a "catastrophic ship strike with propeller injuries." Fisheries and Oceans Canada is investigating the incident and said the necropsy will aid in assessing general whale health in the area. Another necropsy on a dead killer whale calf found on Nootka Island off the west coast of Vancouver Island on Nov. 14 was also completed. It found the calf had been born alive and likely died three to five days later. The cause of death was either due to separation from its mother through loss, death, neglect or failure to thrive. The calf was a transient killer whale and not a member of B.C. 's endangered southern resident killer whale population. Fisheries and Oceans Canada also acknowledged the Mowachaht/Muchalaht and Tsawwassen First Nations communities for their ceremonial offerings before the necropsy on both the deceased killer whale and the humpback whale.